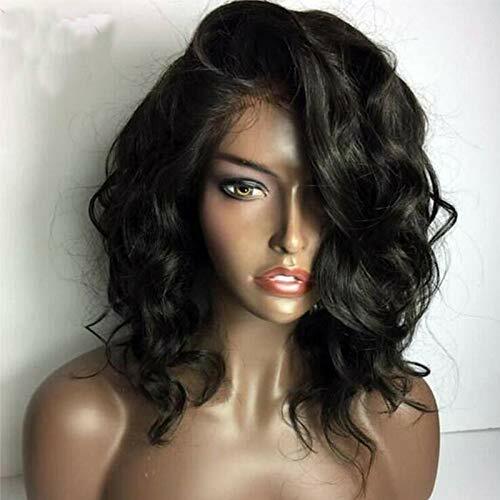 Wigs Specification Brand Name:Tuneful Hair Item Type:Lace Front Wigs Material:Human Hair Hair Type:Brazilian Hair Base Material:Elastic lace Density:130% Suitable Dying Colors:All Colors Wigs Length:Long Can Be Permed:Yes Texture:Body Wave Cap Size:Average Size Material Grade:Remy Hair Color of Lace:Medium Brown Made Method:Half Machine Made & Half Hand Tied Items per Package:1 Piece wig with amazing giftsTuneful FAQ 1.How to measure the correct length? 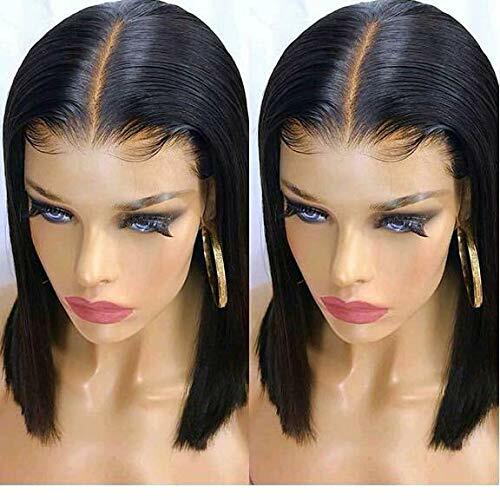 The correct way is firstly stretch the hair to straight, then measure it from top to end. 2.Return/Refund policy? For any hair quality issues, please contact us directly. We accept no reason return and refund. You have no risk to try with our 30 days money back guarantee. 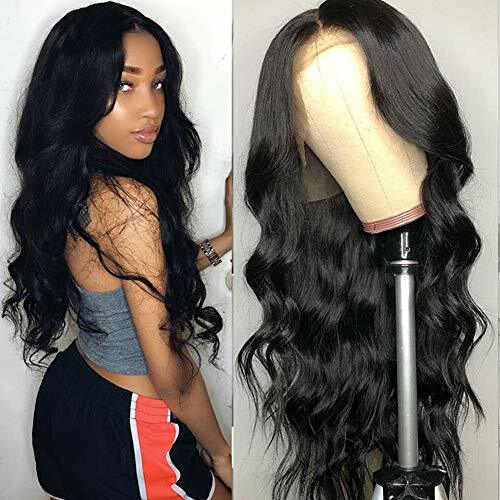 3.How to distinguish virgin human hair with synthetic hair? Human hair contains natural protein, it shows different reaction with synthetic ones when burning.Human hair shows white smoke and turns to be ash. Synthetic hair shows black smoke and turns to be a sticky ball, smell foul. 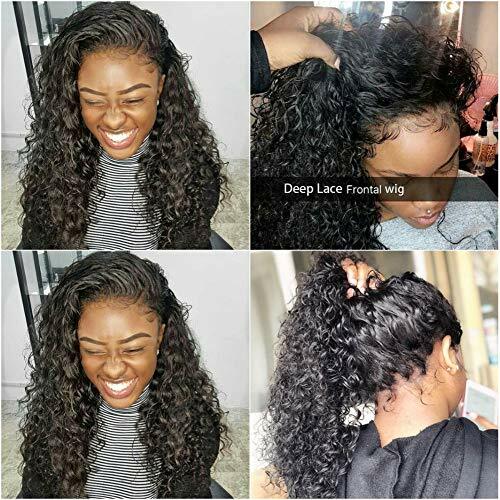 Product Details: 1.Lace Wig Type:13x6 lace front human hair wig 2.Hair Material :100% human hair wigs,it can be curled or straightened 3.Hair Color:Natural color 4.Density:130% density 5.Cap Size:Medium(default), Small/Large(can be customized) 6.Lace Color: Medium brown 7.Advantages:13x6 deep parting space,make you hair look more natural and realistic 8.Knots: Slightly bleached 9.Quality: Pre-plucked natural hairline,baby hair around perimeter, minimal shedding,tangle free,very soft and smooth YS Hair Guarantees: 1.Premium Products 2.Friendly And Fast Customer Service 3.Money Back Guarantee or Warranty on Every Product and Purchase. 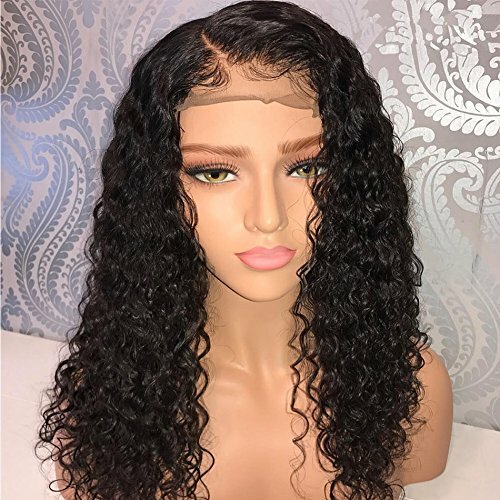 Directions: 1.Wash and Deep Condition Hair Regularly.2.Detangle Hair Gently by Hands Before Washing.3.Style Curly Hair Gently with Your Fingers Instead of the Brush.4.Leave Hair to Dry Naturally and Do Not Make It Under the Blazing Sun.5.Never Sleep with Wet Hair and You May Wrap It to Prevent Tangling.6.Avoid Overusing of Hot Curlers and Flat-Irons Which will Shorten Its Lifespan. 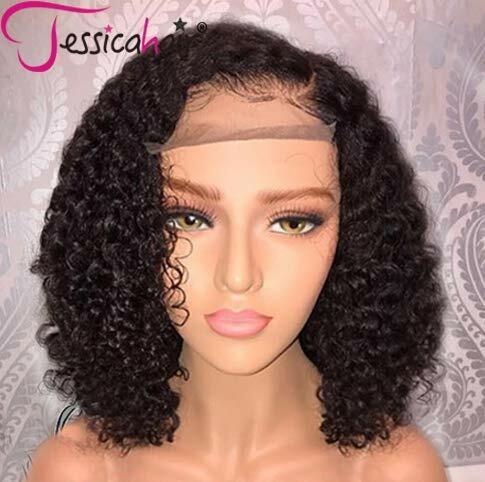 Product Details:1.Lace Wig Type: wavy lace front human hair wig2.Hair Material :100% human hair wigs,it can be curled or straightened3.Hair Color:Natural color4.Density:130% density5.Cap Size:Medium(default), Small/Large(can be customized)6.Lace Color: Medium brown7.Advantages:We test our hair for many times,its thick and longevity,no bad smell,really soft8.Knots: Slightly bleached9.Quality: Pre-plucked natural hairline,baby hair around perimeter, minimal shedding,tangle free,very soft and smooth Luckysnow Hair Guarantees: 1.Premium Products 2.Friendly And Fast Customer Service 3.Money Back Guarantee or Warranty on Every Product and Purchase. Directions: 1.Wash and Deep Condition Hair Regularly. 2.Detangle Hair Gently by Hands Before Washing. 3.Style Curly Hair Gently with Your Fingers Instead of the Brush. 4.Leave Hair to Dry Naturally and Do Not Make It Under the Blazing Sun. 5.Never Sleep with Wet Hair and You May Wrap It to Prevent Tangling. 6.Avoid Overusing of Hot Curlers and Flat-Irons Which will Shorten Its Lifespan. 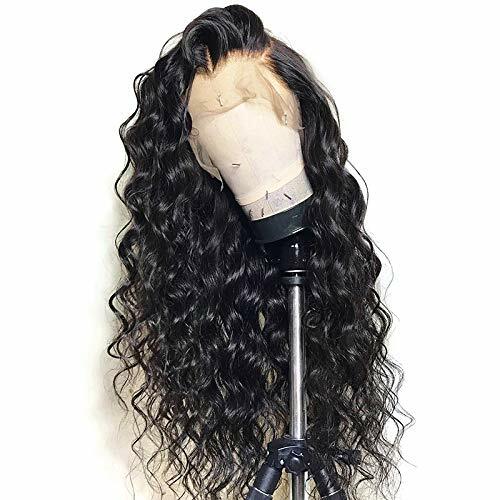 Product Description: 1)Hair Material:100% human hair 2)Hair Color: natural color 3)Lace Color: Medium Brown 4)Lace Material:Swiss Lace (Strong and Invisible) 5)Hair Density:150% density 6)Hair Length: 8-22 inches 7)Made Method: Hand Tied 10)Can Be Permed:Yes Features: 1)Natural hair line,shedding free, no tangling. 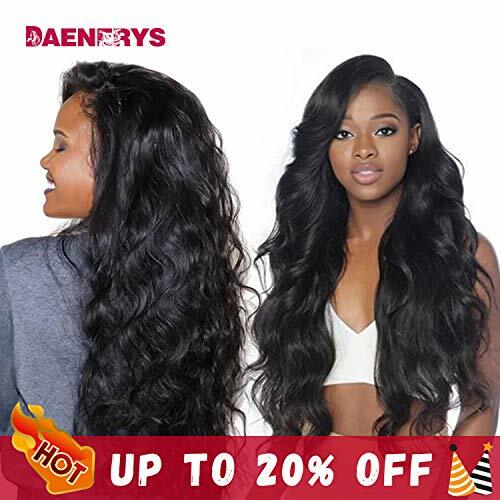 2)100% remy virgin human hair Lace Closure with baby hair around. 3)Nature Color,Can be Dyed and Can be Bleached Highlighted, Curled, Straightened or Styled. 4)Very clean,natural,soft,comb easily. 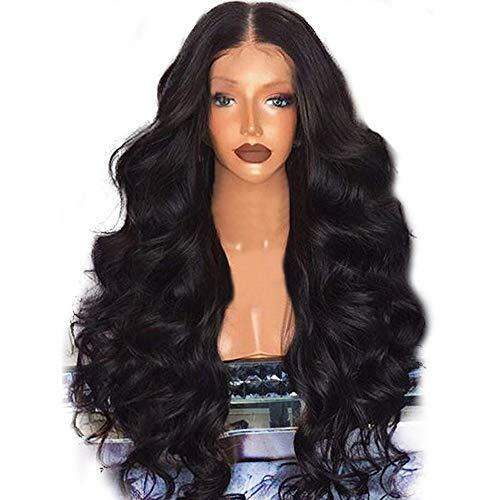 Shopping Results for "Hair Lace Front"